Are Stan Marino’s daughter’s disturbing visions of the future a lifesaving gift, or a curse that will draw him back to the war he can’t hope to win? In The Muse, struggling author Stan Marino went looking for inspiration, but found instead an ancient evil that cast him, his friends, and his family into a realm of imagination where almost anything was possible, and into a battle for their souls. They won that fight at a terrible price, and now, five years later, The Seer finds Stan still picking up the pieces of his shattered life. Are his daughter’s disturbing visions of the future a lifesaving gift, or a curse that will draw him once again into the shadowy world of dreams and imagination, back into a war he can’t hope to win? Sequel to The Muse, contemporary fantasy for teen readers and older. Fred is a great storyteller, and his skill is on full display here. 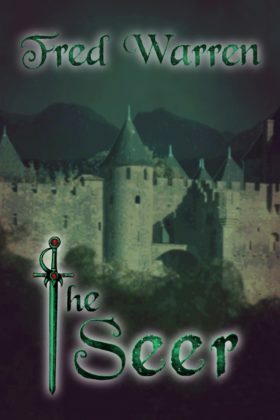 “The Seer” was a lightning-fast read for me. There was always just enough action or intrigue to keep the pages turning. I had a similar experience with the first book. These stories really are like something you’d see on a fantasy version of “The Twilight Zone.” Fast-paced and fun until the end.